The trailer resembles a box camera with an extended bellows. 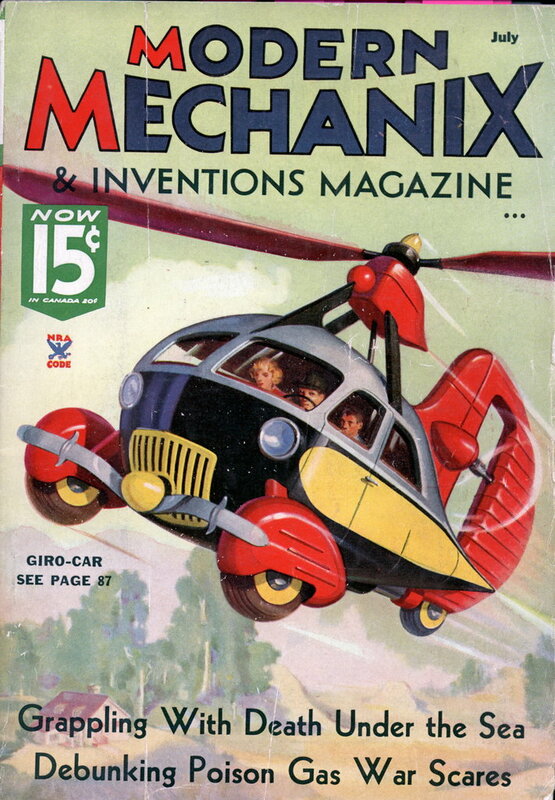 Ready for travel, the 50-pound outfit measures only four feet long and two feet square. It is supported on the road by two standard bicycle wheels. When an inner compartment is pulled out, the enclosed bed extends to eight feet, furnishing sufficient space for the average person. The roof is hinged and may be closed in case of adverse weather. Uphill into the wind this would be like dragging 3 cement blocks. I carry a tent, sleeping bag, and food on my bike and it doesn’t weigh half of that. 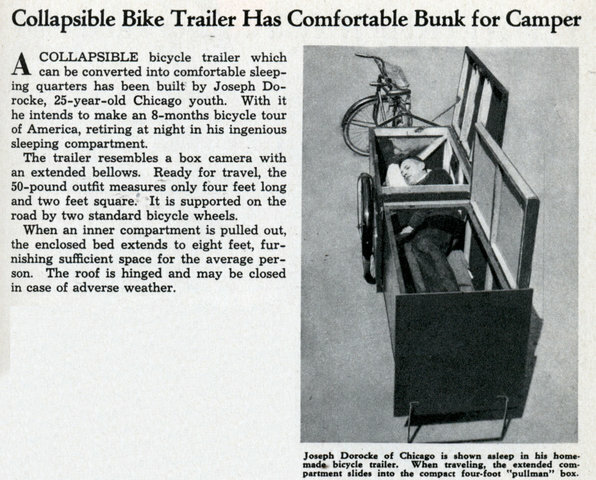 One more oldie from the 30’s today… a bike trailer bunk – good project to (re)make – Link…….